A group soley based on the awesomeness of foxes, mythical and realistic. Welcome to Foxes of First Dark! The group totally dedicated to foxes! We allow all art related/involving foxes, including poems and fanfics. Please take time to read the rules, afterwards feel free to join! We will not be accepting Scene or sparklefoxes any more. Any fox submitted with an ungodly high amount of non realistic coloring and giant floof bangs will be denied. If you join you will be obligated to submit at least one peice of art. Any art submitted that doesn't follow guidelines will be removed. We only accept photographs that you yourself have taken and those that follow our guidelines. No ultra mature art please, a little gore/blood is ok but thats about all that will be allowed. Please do not submit multiple contest entries from another group- those entries belong with the group holding the contest. The art you submit must be made by you! Please do not submit photos you have drawn on or photoshopped things onto. No using free lineart for your drawings- if you have not created the art 100% then we won't accept it. Original artwork only please. - This also counts for adoptables submitted. We do not, nor will we ever accept anything not 100% made by you. No free lines/ect. Before you join, if you have any questions, post them here at the group or send me a note, do not put your question in the member invite because I cannot reply to it. 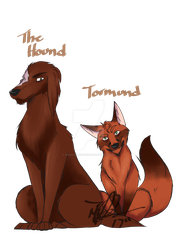 -This does not mean you cannot submit art to the group as a member, contributors just submit art more frequently and are usually contributing to a specialty area in fox art. Here at Foxes of First Dark we look at all aspects of the fox.. the mystery, beauty, and darkerside. Kitsunes and folklore foxes are accepted here! Hope you join and enjoy! Date NightStella looked around the cluttered, messy room that served as their half of the barracks apartment. By military standards the living quarters was a disaster; sheets and blankets were wadded up in the corners of the room, the beds were unmade and shed fur coated nearly every surface. However, the room inspectors let the disarray slide due to one simple fact; the occupants of the room were animals. The two other residents of the three bedroom suite were under more strict scrutiny as they actually slept in a bed and didn’t need to curl their blankets up on the floor to feel comfortable. The rest of the apartment was clean, primped and pressed, but Whisper and Stella’s quarters was a horrible muddle. The wolf padded over to where her roommate was sitting in front of a mirror that had been placed on the floor. The fox’s long tongue worked desperately to flatten out a stubborn piece of fur on her tail, without much success. Combat in the Sands, Struggles in the Heart Pt. 1Rose set the drinks tray down on the barrel lid that was serving as a table; The Fox’s Den was crowded with patrons attempting to get out of the blistering summer sun. The foxes at the table grabbed their whiskey and drank them down greedily. She took the empty tray back to the bar where the Gray Fox had more half-full glasses waiting. Dixie was sitting behind the bar looking disappointedly at the bustle of animals that occupied the various tables. “Well, I'm sorry Dixie. We just ain't gettin' any customers, as hot as it is no one wants warm company, no matter how we wave our tails at 'em.” Rose replied as she picked up her tray and headed back to the tables. Combat in the Sands, Struggles in the Heart Pt. 2Rose was woken up the next morning by a paw poking her roughly in the side. She opened her eyes slowly to see Violet looming over her. “Get up!” The red vixen said urgently. Rose rubbed the sleep from her eyes as she regarded her sister. “How am I supposed to do that?” Rose said, rising from her bed. Rose decided that it was in her and her sisters’ best interest to do as Dixie wanted. Heading out into the blazing sun, she made her way down to the arena as fast as the heat would allow. here's a quick reminder about our main group rules and policies, I don't mean to sound like a nag but we are still getting submissions that can't be accepted here. 1. We DO NOT accept any deviations with humans or anthros in them! This means no pictures, no poems, no stories, no sculptures, or anything else with humanoids in them. 2. We do NOT accept anything that was not made 100% by you! This means do NOT submit other artists works! We only accept submissions from members of this group, and if that artist feels the need to include their work in our gallery, they will join and submit it themselves. Members that continue to submit multiple works from other artists, will be given a warning, and if it happens again they will be removed from the group. Sorry, but I do not want to get chewed out by any artist who finds their work here without giving permission for it to be featured here at all. 3. If your submission is rejected or removed, do not keep re-submitting it. Check the rules/guidelines before submitting any art here to avoid this. - A new change will be made to the rules here in this group. As all of you know, we do not allow humans or even the slightest referance to them in the deviations featured here. As of today we will be allowing writers (and only writers) to include the tiniest referance to humans in their story. I'm talking bare ultimate minimum. We wish for the focus to remain on foxes and foxes only but I realize that it's difficult sometimes to tell a story without including certain things that effect the plot. Example of bare minimum: referring to human hunters for brief moments but not revealing them as active characters. More-so treating them as background descriptions to suit your stories theme and plot. - Pictures with humans and anthros are still NOT allowed. If a deviation is denied do NOT re-submit it. This group is all about foxes, we admire them for all of their qualities and through our art we convey the true essance of what makes these creatures so amazing. Folklore, elemental, spiritual, dark, or just normal, these are the foxes we accept. If you feel the need to include any other type besides the ones I have just listed, contact me via a note and we'll discuss it. It is an awesome story, wish there were more ^^. I got a question..Im technically a sparkle fox...so will Zii drawings no longer be accepted? You're welcome ^^, thank you for joining! Thank you for clarifying this. I'm dissapointed, but understand why you would might like to keep your group anthro free. Also, I'm pretty happy ya like Redwall!!! BTW, do you know any good anthro fox groups I can join?? ?